Steps To Download All Your Facebook Data Including Chats And Photos:- Wondering whether you can get all your Facebook data at a single place? From the time you created an account on Facebook till now? Indeed awesome, isn’t it? Yes, you can have your own copy of your Facebook activities right on your desktop without an Internet connection. All your chats, photos, status updates, pokes, events, friends’ list, what not, even your timeline right on your desktop! Fortunately, Facebook does provide such an option for its users without any charges. You can have all your Facebook data right on your PC with the effort of nothing but a single click. Eager to know how it can be done? Read on then. 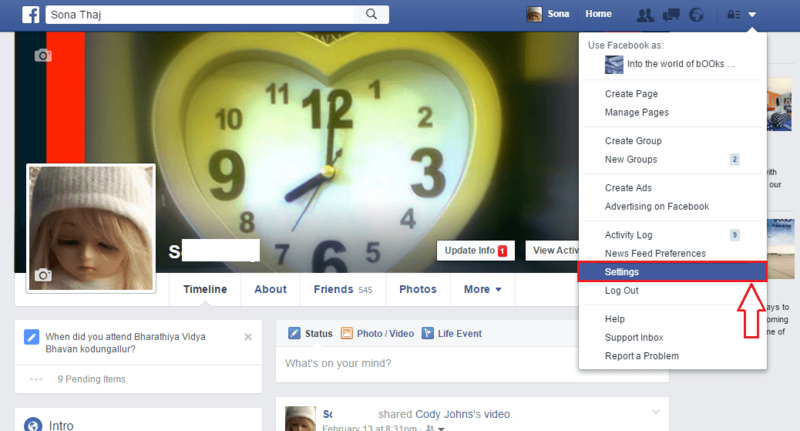 Click on the down arrow at the top right corner of your Facebook page. From the menu that gets expanded out, click on the option named Settings. This will open a new page named General Account Settings. Here, find the link that says Download a copy of your Facebook data and click on it. Click on the button that says Download My Archive as shown in the screenshot. A new popup alert box opens up. It will tell you that it will take a little while to gather all your data. Simply click on the Start My Archive button again. 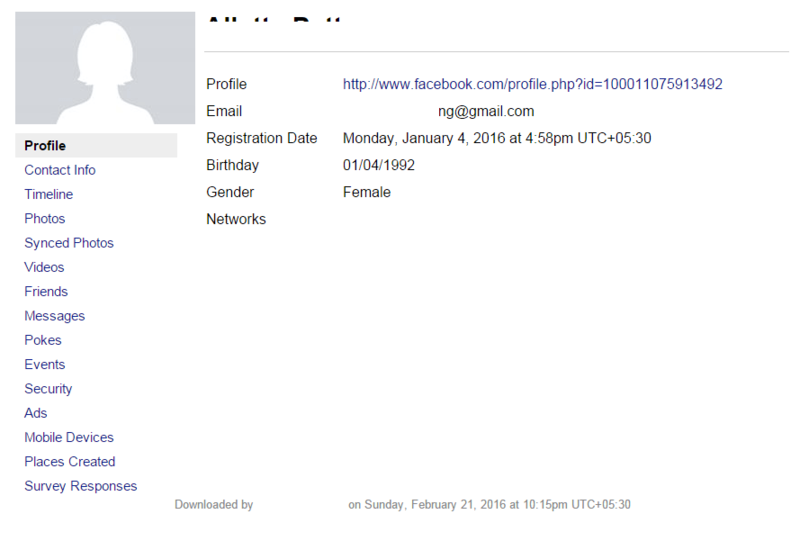 Check the mail id with which you have registered for Facebook. You will receive a mail containing a link using which you can download all your Facebook data. Once you get the link, click on it to proceed to the download. Click on the Download Archive button once you are directed to the download page. You will be asked to re-enter your password for security reasons. Enter the password once again and hit the Submit button. Execution of the previous step will automatically start the download. 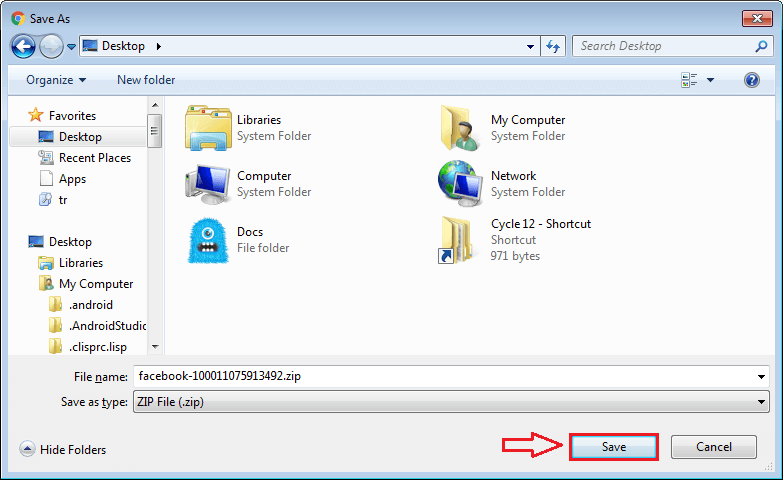 Save the zip file to a location as per your preference. 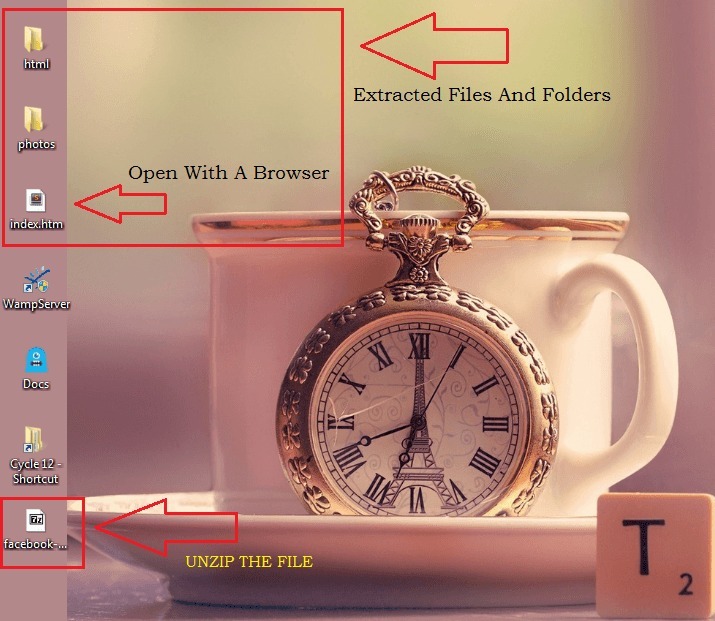 Extract the zip file that you just downloaded. Find the file named index.html. Open it with a browser. The web page index.html will give you all the information that you want related to your Facebook account. That’s it. Now you can explore through your Facebook account without an internet connection as simple as that. You can have a copy of every single activity that you have ever had on your Facebook account today itself. Hope you found the article useful.